Spent the afternoon playing paparazzi in the Gion district in Kyoto, Japan. 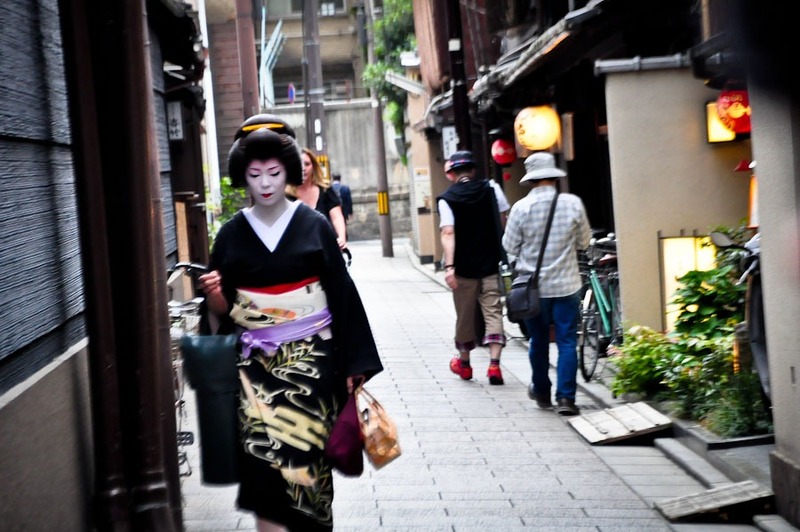 If you’re going to spot a real-life geisha, Kyoto is the place to do it. We were told prime geisha sighting is between four and six o’ clock so we arrived early to increase our chances. There may have been 80,000 geisha shuffling about in the 1920s, but today, less than 2,000 remain in Japan. Our odds were slim but we were hopeful. We spent the next hour weaving through the small streets of Gion peaking through doors and windows. Gion isn’t that big so we went back to sit across the street from the the oldest and most famous geisha school. Another half hour passed, by then I’d been holding my pee for a good two hours. I honestly didn’t care to stick around further and told Gerard I’m going to Starbucks. When I came back at around quarter to six, a huge crowd had formed. There was a lot of commotion. Gerard was no where to be found and I realized it was the first geisha sighting of the evening. People went nuts (with their cameras)! I tried tip toeing, jumping to get a glimpse but there were too many people. Finally, I caught her just before she disappeared behind the curtains of the school. I managed to film her from a respectable distance. Unlike this douche I caught on tape trying to smother the poor thing. And people wonder why modern day geisha complains of public harassment. Gerard emerged from the crowd and we were like, Did you see? Did you see? back and forth to one another. It was pretty funny, like a celebrity sighting in L.A. or something. Honestly, that was enough for me, to get a single sighting on our first hunt, I didn’t mind leaving after that. But we decided to hang around just a little longer. 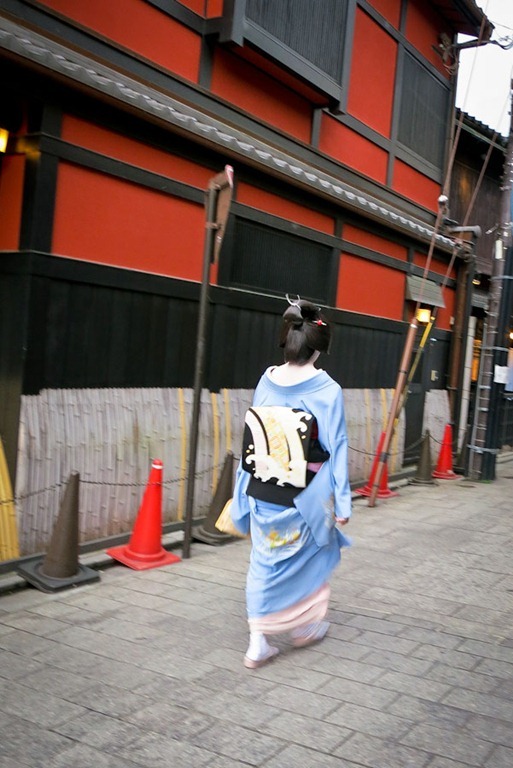 I think school starts promptly at six because we spotted our first maiko – an apprentice geisha – shuffling, effortlessly in her okobo (wooden sandals), down the side street heading towards the school. And then another one. One by one they came in their lavish kimonos and neatly coiffed hair, their vibrant red petal lips against their powdery white faces. At exactly six o’ clock, the geisha stopped coming. 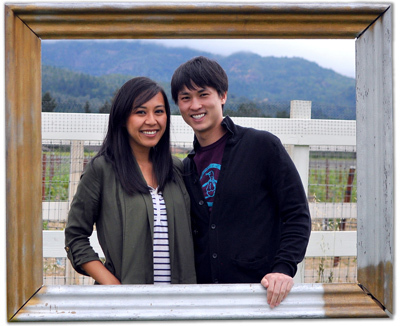 We left soon after and I find myself more intrigued than satisfied, and with a new found infatuation for a culture Gerard and I knew so little about. That night, we went home, downloaded the movie Memoirs of a Geisha and watched it. Although fictional, it may be the only way we would ever get a glimpse into the secret lives of geisha. And while I thought the acting was a complete debauchery, it was nonetheless, an incredible story. The first geisha were men. Geisha are not prostitutes. They are performing artists skilled in the art of music, dance, tea ceremony and conversation. Kimonos made for geisha can easily cost between $20K – $30K USD. Where once young girls were sold into slavery of geisha life, today, it is a lifestyle choice. Teenagers who aspire to be one, go through the same, unchanged rigorous training to become a geisha. Watch or read Memoirs of a Geisha if you want to see more. 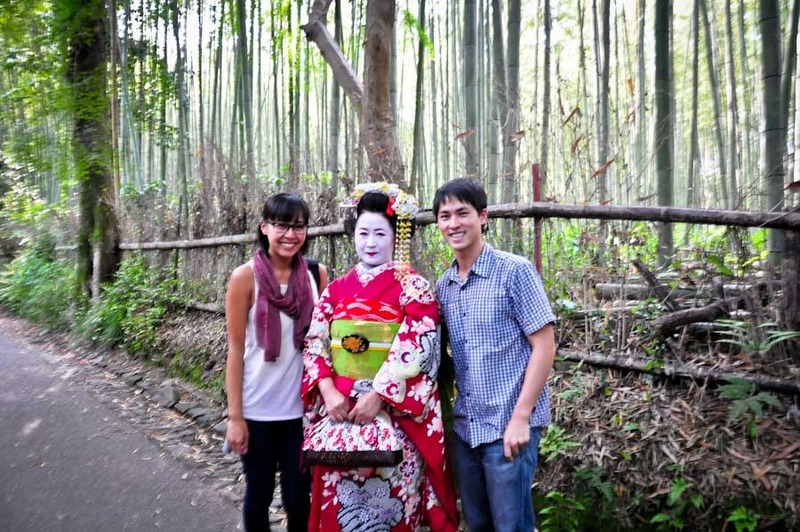 What do you know about the geisha history and culture? Capture the Colour – In Food! I’m applying for a job in Japan next year so I’ve been reading up on Japanese culture like crazy. I just finished the book Geisah -A Life. I highly recommend it! Can’t wait to read more of your posts about Japan! wow. didn’t realize there was a thing about spotting them, that they were that elusive. sad though that other tourists forget their manners when in a foreign country. I knew very little about Geishas and now I know a bit more. Had no idea that there was “spot the gheisha” going on, how interesting! Whoa, geisharazzi! So many people taking pics. I remember reading Memoirs of a Geisha about 10 years ago. GREAT book. 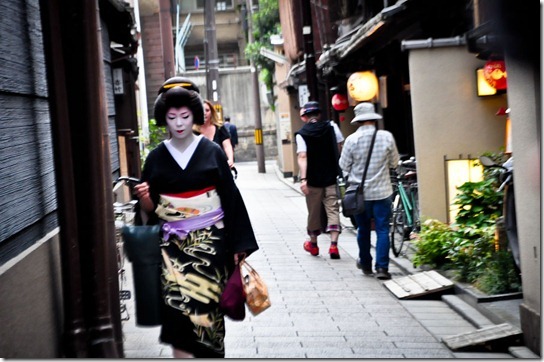 I was in Gion a couple years ago but didn’t see any “real” geishas. Looks like it was an interesting day! Is it super hot yet in Japan? I was there during a heat wave, and it was almost unbearable. Hahaha, geisharazzi! Love it. We were there in May and it was pleasant weather. Rained on us a little in Tokyo but otherwise nice. Looks like you’re having fun. 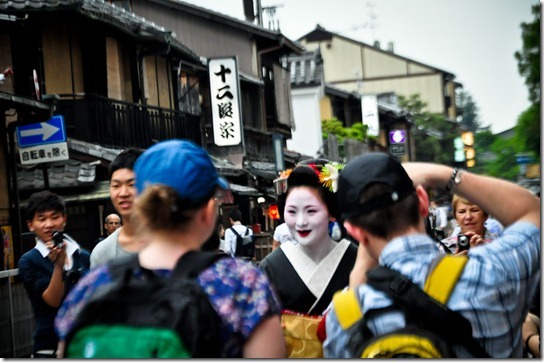 I’m glad you got to spot a few of the elusive geishas! Seriously he was smothering her the whole time. I just didn’t want to get too close for the shot. 🙂 I hope you guys have a letter to Japan – its an amazing place! I really know nothing about geisha culture. Thanks for the bit of insight! Also glad to know that today, women can choose to be geisha instead of being forced into it. I was relieved to learn about that too. Lol, me too. The real ones don’t stick around for photos. I think it’s cool though that they don’t – adds to the mystery. I didn’t realize there was a known school in Kyoto where the crowds gather to catch a geisha – that would have made it much easier on me! My only Geish sighting in Kyoto was while I was wondering around late at night. I caught a fleeting glance of one shuffling amongst a group of men from a building to a waiting car. It was dark, and within seconds she was in the car and gone. But it was still quite magical. Ahh I would have love too see one like you did, a geisha at work. 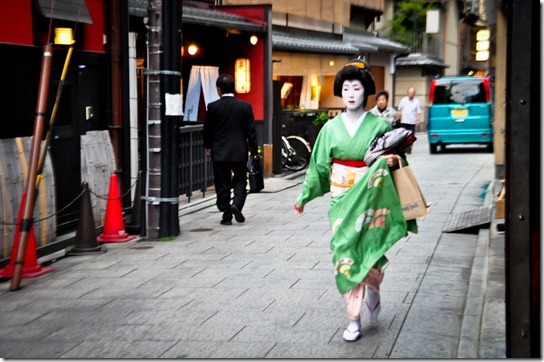 I don’t know anything at all about geishas – I haven’t even seen that movie! I guess I always thought they were prostitutes, though. Is it just that they currently aren’t (but were historically), or has it never been a part of being a geisha? No, the prostitute misconception stem from after WWII when actual prostitutes would tell US soldiers they were geisha. When the soldiers returned home, that geisha/ prostitute thing just went viral I guess. Historically, a geisha’s virginity can be auction for a price though. soo when the hubs and i first moved to new york, we lived around the corner from the UN and next door to a mysterious bar with no signage except for a small bunny on the door, right below a prohibition style peephole. we lived on the first floor and could hear cymbals and weird music through the lobby wall, but had NO idea what was inside. one night, after months of wondering what was inside, we saw a bunch of geisha escorting japanese business men out to black cars. it was super sketch and this is much cooler. 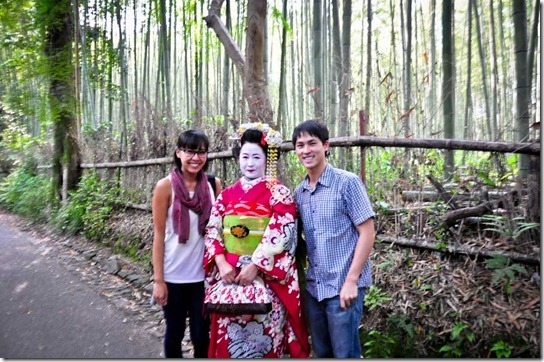 I had my picture taken with a couple of geishas that looked like Herman Munster. They were pretty much passed their time. I posted the picture, and I was told they were not true geishas. Still, it was cool. Sorry that some of them get harassed by the paparazzi. LOL I think I would have been just as paparazzi-like! Fun and fascinating! Definitely. We didn’t think it was a big deal until we saw a real one! As others have said, I had no idea there were not prostitutes nor that sighting them was a thing to do. I guess I’d never stopped to think whether they still existed or not! Truly a mysterious culture once you look into it. Kimonos between $20-30K? That’s unreal! They sure are beautiful though. Wow! Same here! Japan has so many fascinating sides to it. I would love to do that, I read Memoirs of a Geisha, such a great book although I had no idea the first ones were men. For some reason I think of Deuce Bigalow when I hear of a male geisha. =P I just wonder if they wore the same amount of makeup. Funny huh. It’s usually the other way around. I never knew about this school during my adventures in Kyoto…that would have been quite the adventure… great find and discovery. And the one thing i never appreciated about the Geisha was that they were only for Japanese… never possible for a gaijin. I wonder if they serve japanese or how us gaijin fit in the mix. i guess i am off to google. thanks. Wow, for some reason, it didn’t occur to me that they have large geisha schools. Somehow you’d think it’d be something they pass down and somewhat privately. Sad that the tourists stalk them outside; although these days, I guess quite normal. I think the school was there long before all this paparazzi ordeal. It’s unfortunate they’re located on a main street in plain sight. But they do handle it quite well. Shame though, right? 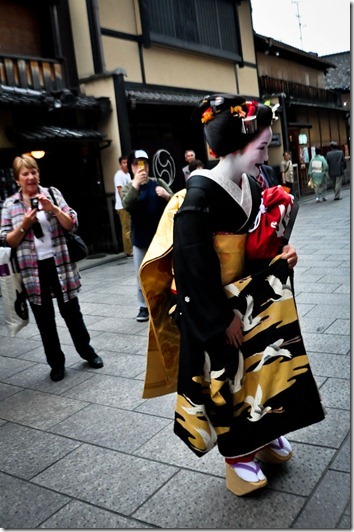 When I was in Kyoto, I could never tell which Geishas were “real” and which were ladies dressed up in the costumes for fun! I took like 15 creeper pictures of this chick in Gion, and later I learned she was an American tourist like me. I think she was just trolling all of the other tourists! This almost makes me want to dress as a maiko-san in kyoto! 🙂 My kimono was so expensive, I could’ve bought a car instead…and I’ve only worn it a few times. But since I used to dance it “made sense” for me to have my formal kimono. Ugh, looking back a TOTAL waste of money!! There are subtle details, to the inexperienced eye, that will set apart the real ones from the impostors. Most importantly, the real ones are lightning fast, will sneak by you and ignore you. 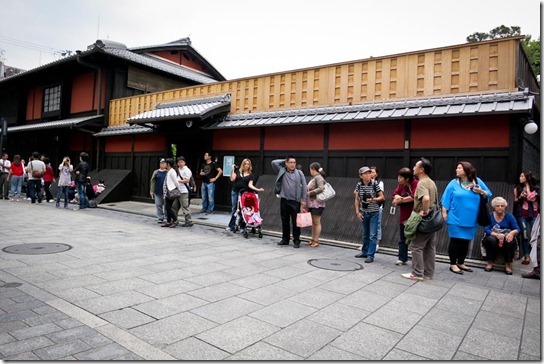 They also shuffle around Gion district right before 6. They will NEVER stop and pose for you, so don’t bother asking. Your candid shots of them will be limited to them walking down the street, and you have to accept that. I have only seen a handful in my lifetime, and they are truly like unique and beautiful butterflies. Blink, and they are gone. Thanks for the tips! May I ask where the side street with the school is on the map? This should hopefully help. Can’t find it for some reason, the blog we used to reference this is no longer online.